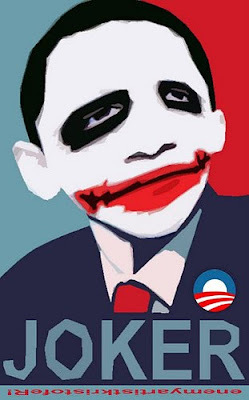 OBAMA COMES TO WHITE HOUSE HALLOWEEN PARTY AS HIMSELF...THE USURPER!...NO TIME TO PUT ON HIS BAD JOKER FACE. Nov 11, Veteran’s day we will protest, demanding from Bill O’Reilly to give us an opportunity to respond to his defamatory statements about Obama’s illegitimacy for presidency law suits. When liberals attack us, people know that they are in Obama’s little back pocket. when people like O’Reilly, who is masquerading as a conservative, pretending to be fair and balanced, are attacking us- it causes damage. We will be demanding equal time and fair and balanced coverage, not Obama spin. I need people to help me make signs for the protest. Currently 3 cases are on appeal, more to come, I will keep you posted re date, jurisdiction, causes of action and plaintiffs. Join Congresswoman Michelle Bachmann as she leads the protest against Obamcare on the steps of the U.S. Capitol. If you live within 200 miles of Washington D.C. and you care about taking back our country from the Communists who have taken control of the government you should be there! This issue is not about health care...it is about control over your lives. It is about the government telling you what you can and cannot do with your own body! What's more OBAMACARE will limit your choices, be more expensive, quality of care will be compromised and it will cost you more! Lot's more! SAY NO TO OBAMACARE! SEND A MESSAGE TO THE USURPER AND THE WITCH IN CONGRESS THAT YOU WILL NOT STAND FOR THIS OUTRAGE! SUPPORT MICHELLE AS SHE LEADS THE FIGHT ON NOVEMBER 5! Ever wonder why Obama doesn't want to send 40,000 to 60,00 troops to Afghanistan? Perhaps he wants them at his disposal to control the American people. Wake-up America! Wake-up! Remember that we now have the most deceitful, dishonest, arrogant, anti-American, anti-Christian, racist, appeaser of the enemy now in control of the executive branch of the government of the United States of America. And he has an evil, socialist leaning Congress aiding him in every way! Not to mention all the anti-American, anti-Christian values, anti-life pervert czars that he has appointed to regulate our lives! And of course there is that little issue that the media wants to ignore...the FACT that Obama is ABSOLUTELY a usurper and not constitutionally qualified to be POTUS! Talk about a crime of the highest order against America! TREASON my friends! TREASON! 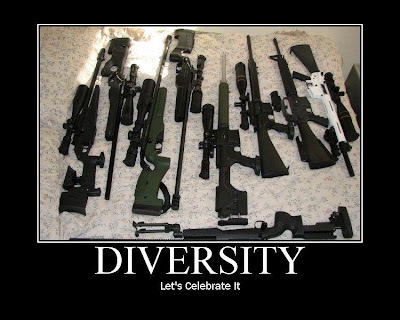 Let's face it...Obama hates our people, he hates our values, he hates our culture, he hates our flag, he hates our Constitution and he is absolutely hell-bent on, as he said during the campaign, "fundamentally changing" America...all for the worse! He tricked you didn't he? You believed that Hope & Change crap? 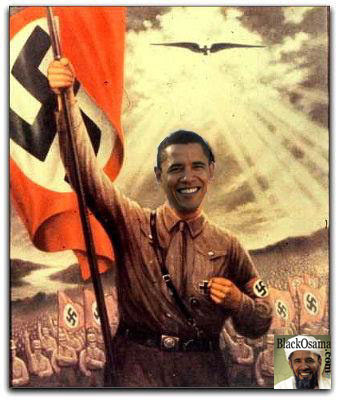 Obama wants to destroy us and take away our freedoms. And he is doing it...now...at breakneck speed. He is selling our country out! Right now! His ideology is sick and his policies and his administration are evil. What are you going to do about this Communist, Marxist take-over? ...just sit there, surfing the internet every day? What are you doing to make a difference? Do you want to help? Do you want to make a difference for your children and grandchildren? If this is not a wake up call I don’t know what is. For you that don’t know it the North American Union has been signed. It comes into effect at the begining of January. It has been just over one year since the U.S. Army announced that the 3rd Infantry Division’s 1st Brigade Combat Team was being placed under the direct control of the US Army Northern Command (NORTHCOM), and was being indefinitely reassigned as an “on-call federal response force” for emergencies of all sorts, natural and man-made, including terrorist attacks, within NORTHCOM’s area of responsibility — the United States, Mexico, and Canada. Although the assignation went mostly unheralded at the time, it marked the first time in the history of the United States that an active unit of the regular Army was placed under the immediate and exclusive command of NORTHCOM. The number of uniformed soldiers assigned to this duty continues to increase annually and the force is estimated to reach a strength of 20,000 by the year 2011. This massive force will all be trained and equipped to “subdue unruly or dangerous individuals” and “help with civil unrest and crowd control.” As usual, these directives are vague and could be applied to any number of scenarios. Furthermore, the critical question to be asked in light of such an arrangement is who will decide who is unruly or dangerous? Whoever is appointed the arbiter of such things will of necessity be feared as he will have 20,000 troops on alert and ready to quell these civil disturbances. This unconstitutional use of American military forces within the United States is back in the news as reports have recently been released reviewing the progress the team has made in training with other federal, state, and local peace officers and agencies. Constitutionalists will find these maneuvers worrisome as they are gross violations of the black letter and the spirit of the Posse Comitatus Act. Posse Comitatus (18 USC § 1385) was a law passed in 1878 in response to the abuse of citizens by federal troops occupying the states of the former Confederacy during the period known as Reconstruction. In exchange for their votes in favor of the presidency of Rutherford B. Hayes, Southern Senators received the support of Republican Senators for the Posse Comitatus Act requiring federal troops to withdraw from southern garrisons, thus ending Reconstruction. President Barack Obama marches on headlong, bent on disregarding this act and the applicable provisions of the Constitution in order to continue training the United States military to participate in purposefully undefined “emergency” situations within the borders of the United States. Recently he and Congress received an analysis of how well this unlawful cooperation between state and national government is progressing. By all accounts, NORTHCOM is withholding some critical information regarding the activities of this force. When it does release the required information, it does so slowly and clumsily. In its defense, NORTHCOM commanders claim that the inconsistencies, mistakes, and delays are due to the difficulty they face in coordinating these exercises with the various states. 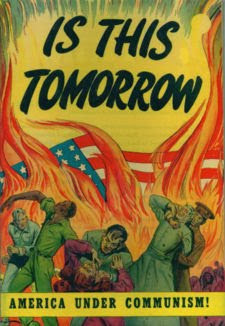 In typical governmental “give them an inch and they’ll take a mile” fashion, NORTHCOM is complaining that unless they are given greater and tighter control over the state agencies and the armed forces with whom they are tasked with training that they will be unable to guarantee operational success, and it may in fact detrimentally impact the team’s ability to provide the services they have been ordered to provide. Unfortunately, NORTHCOM is training with numerous state and local forces. To date, more than 19 federal agencies and 17 states have participated in one or more of the seven “homeland security” exercises that NORTHCOM has conducted since 2005. Not surprisingly, the Government Accountability Office (GAO) has examined NORTHCOM’s reports and agrees with the command’s assessment of the provenance of the difficulties they are encountering in the present arrangement, and they have accordingly suggested that states relinquish administration of their forces and agencies and cede management and command to NORTHCOM. There is fear among those zealous of the Constitution’s prohibition of commingling of federal and state forces that Democratic governors and legislators may tamely acquiesce to President Obama’s desires and thereby further debilitate the strength and sanctity of state sovereignty, the foundational principle of federalism, and the Tenth Amendment to the Constitution that protects it. Heroically, there are local police officers who feel threatened by being placed on a short leash placed by the President in the hand of the U.S. Army. Former NYPD detective and U.S. Marine intelligence officer, Sid Frances has called upon the state houses and Governors to assert their constitutionally guaranteed sovereignty and outright refuse to place their state forces under the command of federal officers. “I cannot understand why the federal government is so intent on using such military force within our borders. It reminds me of the Branch Dividian massacre in Waco, Texas, when the feds used that deadly physical force based on false information.” Admonitions and fears such as these from legitimate sources with personal experience should be a clarion call to all Americans wary of their constitutional protections from government encroachment and weary of the daily usurpation of power by one presidential administration after another (of both parties, mind you). In this case the conglomeration of power is being reinforced with the magnificent might of the United States Armed Forces. WASHINGTON (Oct. 31) -- President Barack Obama said Friday the U.S. will overturn a 20-year-old U.S. travel ban against people with HIV early next year. The order will be finalized Monday, Obama said, completing a process begun during the Bush administration. The U.S. has been one of about a dozen countries that bar entry to travelers based on their HIV status. Obama said the ban will be lifted just after the new year, after a waiting period of about 60 days. "If we want to be a global leader in combating HIV/AIDS, we need to act like it," Obama said at the White House before signing a bill to extend the Ryan White HIV/AIDS program. Begun in 1990, the program provides medical care, medication and support services to about half a million people, most of them low-income. The bill is named for an Indiana teenager who contracted AIDS through a blood transfusion at age 13. White went on to fight AIDS-related discrimination against him and others like him and help educate the country about the disease. He died in April 1990 at the age of 18. His mother, Jeanne White-Ginder, attended the signing ceremony, as did several members of Congress and HIV/AIDS activists. In 1987, at a time of widespread fear and ignorance about HIV, the Department of Health and Human Services added the disease to the list of communicable diseases that disqualified a person from entering the U.S. The department tried in 1991 to reverse its decision but was opposed by Congress, which in 1993 went the other way and made HIV infection the only medical condition explicitly listed under immigration law as grounds for inadmissibility to the U.S.
What great news!!! RINO Scozzafava was even receiving funding from none other than George Soros. Michelle Bachmann announced this on her website today! MAKE NO DOUBT...BIG VICTORY FOR SARAH PALIN! "First I want to thank Dede Scozzafava for her hard-fought campaign in this special election. And, I'd especially like to thank her for dropping out of this race for the good of the Party. I'm certain that it was not an easy decision for her to make, but it was the right one. "I'd also like to urge anyone who can help Doug Hoffman, the Conservative Party candidate in that race, to mobilize all their energy and resources to ensure Hoffman's victory next Tuesday. "The polls all show that Hoffman's message of fiscal responsibility and conservatism are resonating strongly with the voters in that district. I am very hopeful that they will send him across the finish line in first place Tuesday night." Here is an interesting review of murder figures for the Stalin regime. An estimated 11 million died of famine during these years, listed separately. It is difficult to imagine how one can justify and downplay such mass murder and terror inflicted over decades upon the regime's own population. 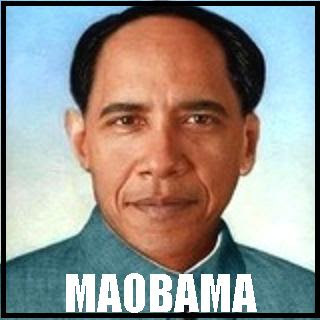 Mao Zedong's regime in China murdered an estimated 40 million of their own people. Recently, high level spokespersons in the U.S. government have begun praising Dear Leader Chairman Mao, and George "MoveOn" Soros has just announced that China should take over world leadership as the USA undergoes its final deconstruction. It is important to realize that both Stalin's Russia and Mao's China murdered more of their own people than the total international death toll attributed to Nazi Germany. 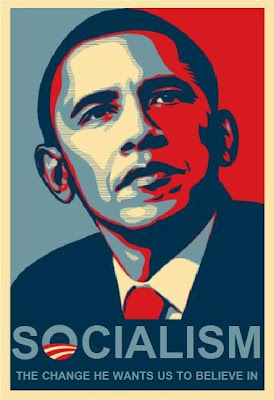 The message of Lenin, Mao, Stalin, or Hitler could easily be summed up as "Change you can believe in." If you look for it, you will find evidence that these 20th century tyrants were placed in power and funded by the same families that are now overseeing and funding the final death of the U.S. Constitution. Reminder: Federal employees, judges, law enforcement, and military personnel swore an oath to support and defend the constitution against all enemies foreign and domestic. (Oct. 30, 2009) — Dispite all his rancor and loony constitutional theories, Judge David O. Carter has failed to give final judgment in the case Barnett vs. Obama, leaving the door open to further filings and proceedings. His ruling has not dismissed the case, but rather merely dismissed arguments presented so far. This is the interpretation had if you read the Federal Rules of Civil Procedure 54 and 58. (b) Judgment on Multiple Claims or Involving Multiple Parties. (1) Without the Court’s Direction. From this it can be seen that since the clerk has not yet added a Judgment record to the Docket, that Carter is indicating, despite his heavy handedness to the Plaintiffs, that he might allow a second amended complaint, which includes a request for relief for the political candidates, whom he acknowledged had standing, so long as their request for relief was redressable: such as a monetary reward howsoever small. Judge Carter has from 10 to 30 days after his ruling on the Motion to Dismiss to add such a judgment dismissing the case with prejudice to the docket, otherwise he is formally indicating that he expects Dr. Orly Taitz, lead counsel for the plaintiffs, and Attorney Gary Kreep, for his plaintiffs, to submit a request to file a second amended complaint. Indeed, without such ruling added to the docket, the Plaintiffs can initiate such a request action. Well done, Orly Taitz case moves forward solely for Plaintiff Keyes for redressable relief of monetary damages, thereby avoiding political question (leave that to Congress once Keyes recovers even nominal damages for pre-Presidential fraud against Candidate Obama) and Team Obama has nothing to appeal to delay the trial. 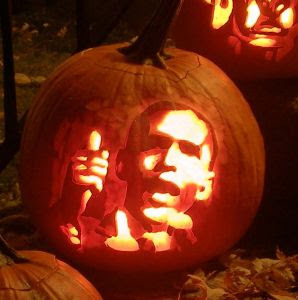 CARTER DECISION FATAL FLAW: When all is said and done, ONE CLAIM MOST DEFINITELY SURVIVES, and that is Keyes’ claim for fraud committed by Candidate Obama before becoming President, which Judge Carter pretends away on the sole basis of Orly having filed same on 1/20/09 at an hour after Obama took the Oath. That’s a “red herring” because Obama took the valid Oath on 1/21/09, no Presidential immunity exists for tort fraud by Candidate Obama before becoming President, and “before-or-after” Oath filing by Orly is irrelevant for such case which does NOT seek Presidential removal, albeit Judge Carter pretends that IS the sole relief sought by Keyes. IT WOULD APPEAR THAT ORLY, COULD IN FACT, FILE A SECOND AMENDED COMPLAINT AND SIMPLY FILE A CLAIM FOR ELECTION FRAUD AGAINST OBAMA...SHE GETS A JUDGMENT...THE WHOLE WORLD IS THEN OFFICIALLY ON NOTICE THAT OBAMA IS A CRIMINAL...AND THEN THE PUBLIC CAN PUT PRESSURE ON CONGRESS TO HAVE HIM REMOVED, SINCE CARTER HAS BEGGED OFF ON THAT ISSUE! It's hard to imagine any person would approve of this guy...are their really still so many dumb and ignorant in America? Among the fallacies in House Speaker Nancy Pelosi’s healthcare bill is the pretense that bureaucrats are smarter than the rest of us. An unelected bureaucrat would be given czar-like control over our lives, our health, and our pocketbooks. Even super powers. This new all-powerful “health choices commissioner” would be entrusted with more power than most superheroes. The laundry list of that special power is proof that it’s a government takeover of healthcare. This presidential appointee will both control the new government-run insurance plan AND decide how private insurance companies are to operate, by creating the standards for their coverage and enforcing compliance. Likewise, employer-run health plans would answer to super-czar. In other words, this health czar will control both the government plan and all of its competition. So much for claims about a level playing field! Rather than having Medicare dictate payment amounts to doctors and hospitals (as Pelosi originally intended), her new 1,990-page bill says the czar will “negotiate” rates. That will take an an awful lot of staff. America has 788,000 active doctors and 5,708 hospitals. # Define our terms for us. This commissioner/czar would dictate all the definitions used in health insurance policies. After all, if you control the language, you control the debate. “The House healthcare reform bill would establish a new entity called the Health Choices Administration, headed by a presidential appointee to be called the Health Choices Commissioner. Sounds wonderful, right? A government official whose only job is to make sure you have health care choices, right? The new super-bureaucrats may not be able to leap tall buildings in a single bound. But they can put a lot of tall barriers between each of us and our doctors. Ernest Istook, a former U.S. congressman from Oklahoma, is a distinguished fellow at The Heritage Foundation. This article is cross posted from The Foundry. NO NEW TAXES?...LOOK AGAIN...ANOTHER BIG LIE FROM THE "LIAR IN CHIEF" AND "STRETCH" PELOSI"
• Codification of the "Economic Substance Doctrine" (Page 349): Empowers the IRS to disallow a perfectly legal tax deduction or other tax relief merely because the IRS deems that the motive of the taxpayer was not primarily business-related. • Application of "More Likely Than Not" Rule (Page 357): Publicly-traded partnerships and corporations with annual gross receipts in excess of $100 million have raised standards on penalties. If there is a tax underpayment by these taxpayers, they must be able to prove that the estimated tax paid would have more likely than not been sufficient to cover final tax liability. WATCH THE VIDEO AND SEE HOW YOUR GOVERNMENT IS BETRAYING YOU! More than 40% of President Obama's top-level fundraisers have secured posts in his administration, from key executive branch jobs to diplomatic postings in countries such as France, Spain and the Bahamas, a USA TODAY analysis finds. Twenty of the 47 fundraisers that Obama's campaign identified as collecting more than $500,000 have been named to government positions, the analysis found. Overall, about 600 individuals and couples raised money from their friends, family members and business associates to help fund Obama's presidential campaign. USA TODAY's analysis found that 54 have been named to government positions, ranging from Cabinet and White House posts to advisory roles, such as serving on the economic recovery board charged with helping guide the country out of recession. Nearly a year after he was elected on a pledge to change business-as-usual in Washington, Obama also has taken a cue from his predecessors and appointed fundraisers to coveted ambassadorships, drawing protests from groups representing career diplomats. A separate analysis by the American Foreign Service Association, the diplomats' union, found that more than half of the ambassadors named by Obama so far are political appointees, said Susan Johnson, president of the association. An appointment is considered political if it does not go to a career diplomat in the State Department. THIS CRONYISM AND CORRUPTION IS TYPICAL OF THE CHICAGO MACHINE AND OF BREZHNEV, CASTRO, CHAVEZ AND THE LIKE. PEOPLE WHO VOTED FOR OBAMA THINKING HE WOULD HAVE A TRANSPARENT AND HONEST ADMINISTRATION WERE FLAT OUT DUPED. Obama not only is messing around with America and Israel, but he is defying God Almighty. Who do you think will win this battle? 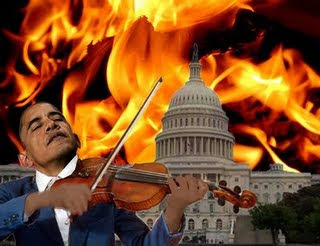 Obama's agenda for collapsing America is neck and neck with his veiled hatred for Israel. Obama is all for ceding lands back to the indefensible borders of 1967, where at points the Israelis were a mere 9 miles from being potentially pushed into the Mediterranean Sea. 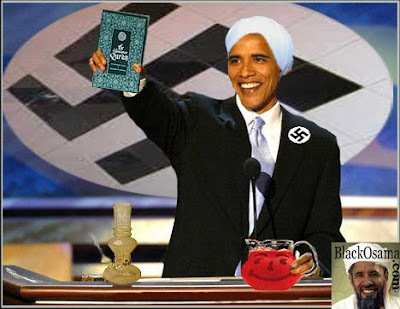 White America and them damn Jews are seen by Obama as oppressors who have victimized people of color. We are the enemy. The newspapers in Israel are not dumb, nor in the tank for Obama, as are American newpapers. Israel has not out and out tagged Obama for what he is, mainly because they themselves have a full plate of their own with the Arabs and Iran. Diplomatically Israel must walk a tightrope, they can not afford to be outspoken because of their concern for their own national security and survival. Make no mistake though Israel is America's greatest friend and ally. Which other nation on Earth has the ear of the Almighty. Filner related how in 1994 he was one of the few members of Congress who refused to sign onto a resolution condemning an anti-Semitic speech given by Nation of Islam lieutenant Khalid Abdul Muhammad. Filner claimed that by refusing to condemn a public figure's calumny against the Jewish people he lost some $250,000 in electoral contributions in each subsequent election cycle. "That kind of money is an intimidating factor. I raised a lot less in succeeding years, but my conscious was cleared," he bragged. Then there was the self-professed "pro-Israel, pro-peace" group's panel discussion on Iran's nuclear program. As James Kirchick reported in The New Republic, the panel included two of Iran's most outspoken apologists in Washington. Both former National Security Council staffer Hillary Mann Leverett and National Iranian-American Council head Trita Parsi asserted a moral and security equivalence between Iran, Israel and the US. Leverett accused opponents of Iran's nuclear program of racism. In her words, those calling for Iran to be denied nuclear weapons are "reinforcing stereotypes of Iranian duplicitousness," and their warnings are "fundamentally racist." This of course is pure nonsense. Kadima - like every other Zionist political party in Israel - supports strong sanctions on Iran. Indeed, Kadima supports taking whatever steps are necessary to prevent Iran from acquiring nuclear weapons. Beyond that, Kadima waged two wars while it was in office. Both Operation Cast Lead and the Second Lebanon War were opposed by the far-left. J Street was outspoken in its criticism of Cast Lead. Moreover, Kadima's leaders have emphatically opposed the Goldstone Report. THE FACT that J Street represents neither mainstream Israeli thinking nor mainstream American Jewish thinking is of little concern to its leadership. J Street represents the Obama administration. In his keynote address before the conference, National Security Adviser James Jones told his cheering audience that J Street has a friend in the Obama White House. As he put it, "You can be sure that this administration will be represented at all other future J Street conferences." There are six national television networks in the US. Five of them support President Barack Obama. One - Fox News - does not. Rather than rejoice in what is an overwhelmingly favorable state of affairs for it, in recent weeks, the Obama White House has gone to war against Fox News. Obama's senior advisers have castigated the network as "the research arm of the Republican Party," and claim daily that it is "not a news organization." Obama as well as top administration officials boycott Fox programs and are seeking to intimidate friendly news organizations into joining them in isolating Fox. In a spate of recent statements on the subject, Obama's top advisers have warned the other networks not to follow Fox's lead on any of the stories it reports, lest they discover they have allowed themselves to become the tool of the Republicans. A straight line connects Sussman's rants, J Street's lies and the Obama administration's attempt to destroy a news organization. In each case, actions aimed at silencing debate are falsely characterized as the brave moves of an underdog seeking to confront the evil powers that be. Sussman writes of the need to overthrow the "oligarchs." J Street claims to be breaking the "right-wing stranglehold" on US Israel policy. And Obama's adviser Valerie Jarrett claims that by attacking Fox News, the White House is "speaking truth to power." Luckily, the falseness of all of these claims has not been lost on the American public. Despite the actions of the likes of Sussman, "wildly pro-Zionist" voices still resonate on college campuses just as they do throughout the US. J Street has been unable to convince American Jews that its anti-Israel positions are the true expression of American Jewish Zionism. 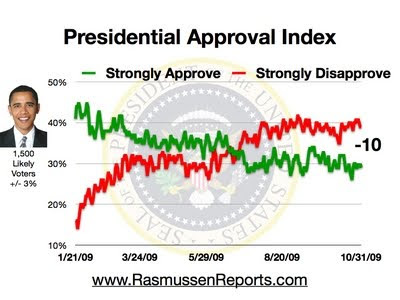 And Obama's approval ratings now stand at a mere 51%. FOR CRYING OUT LOUD!...DOESN'T AMERICA DESERVE TO KNOW WHO IS LIVING AT THE WHITE HOUSE? After WND's stunning disclosure yesterday that Michelle Obama publicly admitted her husband's mother, Stanley Ann Dunham, was "very young and very single" when giving birth to the future U.S. president, three photos of Barack Obama Sr. have now surfaced, raising further questions as to whether the two were actually married. The photos of Barack Obama Sr. attending a University of Hawaii party in the early 1960s, which surfaced on the Internet, show him enjoying the company of fellow students without the presence of Ann Dunham. His demeanor evident in the three photographs suggests a familiarity with women that would give no indication he was engaged to be married or already wed to Ann Dunham. While the possibility remains the photographs were taken before Obama Sr. met Ann Dunham, the testimonies from Obama's fellow students at the University of Hawaii that accompany the photographs make no mention that Barack Obama Sr. was ever associated with Ann Dunham, at the time the photographs were taken, or later. The photographs are identified as having been taken at the home of Arnie and Suzie Nachmanoff in Pearl Harbor, Hawaii, "in the early 1960s." One photo shows Barack Obama Sr., smoking a cigarette and talking with an attractive young woman identified on the website only as "Dorothy." The other two photos show Barack Obama Sr. seated on the floor with other students at the party, again without Dunham. Several testimonies "by some old friends of Barack Obama when we were in Honolulu, Hawaii," are posted on the website, reminiscencing about Barack Obama Sr.
Several of the testimonies note that Obama had the historical distinction of being Hawaii's first African university student; none of the testimonies make any reference to courtship with or marriage to Dunham. The website, obviously supportive of President Obama, was created by Naranhkiri Tith, a student at the University of Hawaii's East West Center at the same time Barack Obama Sr. was enrolled. Tith went on to serve for 20 years on the senior staff of the International Monetary Fund. "Although [Barack Obama Sr.] was not an East-West Center grantee, he was always with us, especially at a Guest House owned and operated by the Asia foundation, situated on the top of a road leading to Manoa valley," Tith Naranhkiri recalled in an essay titled "Remembering my friend Barak (sic) Obama" that "Atherton House was a place where most East-West Center grantees gathered for a drink or a chat." Naranhkiri said in the 1980s an IMF colleague on a mission to Kenya gave him Obama's telephone number in Nairobi. "Needless to say that I was very happy to be able to be in contact again with Barak (sic), after more than ten years of silence," Naranhkiri continued. "We had a long conversation and we were able to talk to each other a few more times until one day, when I called him and his secretary told me over the phone that he had passed away of an accident." Naranhkiri makes no reference to recalling Ann Dunham at the University of Hawaii or of discussing her with Barack Obama Sr. in their subsequent telephone conversations after the president's father had returned to Kenya. Robert M. Ruenitz, another student at the East-West Center when Barack Obama Sr. was enrolled, had distinct recollections of the president's father living alone in Hawaii. "For any of us to say we knew Obama well would be difficult," Robert M. Ruenitz wrote. "He was a private man with academic achievement his foremost goal. He lived somewhat like a hermit in a small room up in the valleys of Manoa. I visited him there on my Lambretta and wondered how he sustained himself outside of his focused attention to his academic pursuits." WND has established that Barack Obama Sr. always maintained his bachelor apartment at 625 11th Avenue. The only family resident at 6085 Kalanianaole Highway – the birth address published in August 1961 in the Honolulu Advertiser and the Honolulu Star-Bulletin – were Ann Dunham's parents, Stanley and Madelyn Dunham. "In my mind, I always picture him at a certain spot under a large tree, just outside the University library," Bob Craft, another East-West student recalled. "There a small group of us would frequently gather, standing around for a short while chatting. "All these years – I still believe that I can remember his voice distinctly, which had middle and high tones sitting on top of a deep rumble. I also remember him always being dressed in a white shirt and dark trousers, in contrast to everyone else who usually wore flowered Hawaiian shirts and shorts," Craft continued, making no mention of Ann Dunham. Rep. Neil Abercrombie, D–Hawaii, told the Chicago Tribune that he was part of a group of graduate students at the University of Hawaii along with Barack Obama Sr. and Dunham who spent weekends listening to jazz, drinking beer and debating politics and world affairs. Another of Abercrombie's recollections, however – that Ann Dunham "disappeared from the University of Hawaii student gatherings" only after Barack Obama Sr. was accepted to attend Harvard University – conflicts with new evidence. WND has obtained evidence that Dunham enrolled in extension classes at the University of Washington in Seattle on Aug. 19, 1961, only 15 days after Barack Obama Jr. was born, and that she lived in an apartment in Seattle's Capitol Hill area, never returning to Hawaii until after Barack Obama Sr. had left for Harvard. The Chicago Tribune further reported that on a trip to Africa years later, Abercrombie caught up with Barack Obama Sr.
Barack Obama Sr. "was drinking too much; his frustration was apparent," Abercrombie told the newspaper. "To Abercrombie's surprise, Obama never asked about his ex-wife or his son," Tribune national correspondent Tim Jones wrote. WND has reported the only documentation for Dunham's marriage to Barack Obama Sr. comes from their divorce documents that list the marriage date as Feb. 2, 1961. However, it isn't clear Obama's parents were married, since official records have never been produced showing a legal ceremony took place. No wedding certificate or photograph of a ceremony for Dunham and Obama Sr. has ever been found or published. In his book "Barack and Michelle: Portrait of an American Marriage," former Time magazine contributing editor Christopher Anderson elaborates: "There were certainly no witnesses (to the alleged civil marriage ceremony on Maui in 1961 between Obama's parents) – no family members were present, and none of their friends at the university had the slightest inkling that they were even engaged." Anderson further quoted Abercrombie as saying that "nobody" was invited to the wedding ceremony. President Obama's birth story is further complicated by the fact that when Barack Obama Sr. arrived in Hawaii as a 23-years-old in September 1959, he already had been married since age 18 to a Kenyan woman named Kezia Aoko. Obama Sr. ultimately had four children with Aoko, and there is no evidence to suggest he was ever divorced from Aoko, either in Kenya before he left for Hawaii or in Hawaii prior to the alleged marriage with Dunham. Dunham apparently was suggesting bigamy was not involved in her alleged marriage since Barack Obama Sr.'s marriage to Aoko was a "village wedding" that possibly would not have been recognized as legitimate by Hawaii civil law. Barack Obama Sr. was reportedly a polygamist who had at least four wives, including Ruth Nidesand, who he met at Harvard and became his wife after she followed him back to Kenya. THE PHONY PRESIDENT...PHONY TO THE CORE!...A DESPICABLE FRAUD! Presidents engage in all kinds of ceremonial events. Every Thanksgiving, they “pardon” a turkey so it doesn’t end up on the White House menu. They make sure they are photographed with the winning teams of various sporting series. Every Easter they can be found at the White House Egg Roll accompanied, I have always suspected, by a Secret Service agent in a large bunny costume. The other evening, shortly after midnight, President Obama made sure to be photographed standing in line with military personnel and some civilians in attendance as the dead, including three drug enforcement agents, from Afghanistan were returned home at Dover Air Force base. Our military casualties are received in a solemn ceremony few except those in attendance ever witness. Presidents have never participated in this ceremony. 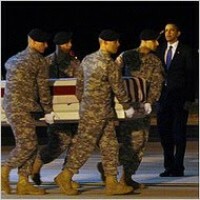 The caskets are a too vivid reminder that part of their job is to send troops in harm’s way. President Bush preferred to meet with the families of fallen heroes. When 241 U.S. military were murdered by a suicide bomber in Beirut on October 23, 1983, President Ronald Reagan attended a ceremony at Camp Lejeune to speak of his grief and anger. Three months after the bombing, he pulled out U.S. troops. The bombing, authorized by Iran and carried out by Hezbollah, foretold of the way our troops would be attacked by an enemy that would not meet them on the field of battle, would not wear a uniform, and preferred fanatical Islamic self-sacrifice as an instrument of war. The ultimate attack was al Qaeda’s 9/11 against civilians. President Obama wasn’t there to honor those fallen soldiers or marines. He was there to be seen saluting. Obama was there because, during the campaign he had used the war in Afghanistan as a way to criticize former President Bush’s decision to depose Iraq’s dictator only to find himself in unforeseen and ill-considered circumstances that required years and a change of strategy to redeem. Afghanistan, said candidate Obama, was “a war of necessity” whereas Iraq was “a war of choice.” Only now, nine months into his first term, Obama is finding it very difficult to make a choice, to determine the “necessity” of conducting the war in Afghanistan or whether to withdraw from it. What bothered me, as someone who served in the U.S. Army, was the way Obama was using those returning dead to “send a message” that he was very serious about the decision he was about to make. The strategy concerning Afghanistan was handed to him by the existing Bush administration in a report prepared for his assumption of the office. His hand-picked general in the field says we will lose without increasing present troop strength. Obama’s presence that evening was about perceptions and imagery. It was his way of trying to influence public opinion about his failure to act. Increasingly, questions are being raised about his campaign statements and presumably his commitment to pursue the Taliban and al Qaeda in a vigorous fashion. The enemy knows it and it too is doing what it can to influence public opinion; they have stepped up the killing of American troops. Frankly, knowing that he had never worn the uniform of his nation, it bothered me that he would stand there in the dark giving a salute. The closest he ever got to wearing a uniform and saluting in his past was when he was in the Boy Scouts—the Indonesian Boy Scouts.